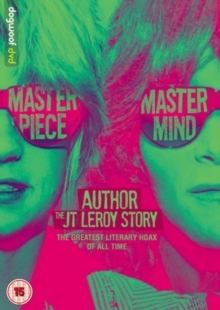 Documentary focusing on literary persona JT LeRoy, the pseudonym used by author Laura Albert. Documentary focusing on literary persona JT LeRoy, the pseudonym used by author Laura Albert. Having released two successful novels, 'Sarah' in 2000 and 'The Heart Is Deceitful Above All Things' in 2001, gender-fluid author JT LeRoy forged a highly influential literary career and attracted many celebrity admirers including Winona Ryder, Shirley Manson, Billy Corgan and Courtney Love. Despite phenomenal success, the author remained elusive and only ever appeared in public disguised in a wig and sunglasses. In 2005 a New York magazine exposed JT LeRoy as the fictional persona used by author Laura Albert, who claimed she would not have been able to write her stories without using the false identity. However, some of LeRoy's readers felt upset that they had been fooled by the novels' autobiographical marketing. In this documentary, Albert tells her version of how and why she was able to deceive the literary world for so long before the truth ultimately came out.